Thinking about giving your family a kitchen remodel they can be proud of? My Remodeling Pro will help you create a space that is welcoming and trend worthy. For over 36 years in Kansas City, My Remodeling Pro has helped homeowners like you design a their dream kitchens. Whether it’s a new spacious chef’s kitchen, more storage or a new space to entertain – we can help. In the hot housing markets like Kansas City springing for a new kitchen can make your property even more valuable. And My Remodeling Pro can design and construct a complete kitchen renovation on your budget. Our on-staff designers and build team will help you make the right choices to get the best return on your investment. A complete kitchen remodel from My Remodeling Pro will include the removal of your old cabinets and a whole new design. At this point we can help you change your style completely. Do you want to add space to entertain? How about more storage? What about the layout itself – thinking of an essential work triangle or zoned design? Not sure? My Remodeling Pro can help. Creating the kitchen of your dreams takes time, decisions, quality craftsmanship and most important attention to details. We will replace the plumbing, cabinets, lighting, flooring, and countertops. Unless you built your home every aspect of your kitchen was designed with someone else in mind. Like hand me down clothing – a hand me down kitchen may never feel like it really fits. My Remodeling Pro designers can take that space and tailor it just for you. A galley kitchen layout has workstations in a small triangle on parallel walls. It is designed for one cook and typically has no entertaining space. My Remodeling Pro can help you maximize storage and work space or even remove a wall to add more space. Possibly the most versatile kitchen layout is a U-shaped kitchen. Continuous countertops, ample storage, larger floor plans and multiple work zones give multiple cooks a chance to work at the same time. My Remodeling Pro can help you modernize your space, conceal appliances and make cabinets more accessible. The L-shaped kitchen boasts a traditional work triangle, work stations on two adjacent walls and a more open floor plan. My Remodeling Pro can help you find the right mixture of work space and entertainment space. We can remove walls and add islands. No matter what type of kitchen is in your home L-shaped, U-shaped, Island or Galley we can reinvent it. You determine the needs, budget and design styles and My Remodeling Pro will provide it on schedule. Check out these great links that will discuss each option you have when designing a new complete kitchen. My Remodeling Pro would be glad to walk you through the pre-building design process, call (913) 268-9800. My Remodeling Pro can help you design a space that fits your style and needs at your initial consultative appointment. Simple fixes to complex we will help you determine expectations. We’ll bring samples of past projects and share great places to look online for ideas. Once you settle on your need and style we will put a dollar amount to your project in a proposal. In an article by UPI reporting on remodeling trends, a kitchen renovation project can deliver solid cost-to-value ratios for homeowners. Did you know, you can recover up to 69% of your kitchen remodeling budget when you resell your home? According to the National Association of Realtors, a complete kitchen remodel is one of the best home interior remodeling projects you can take on. 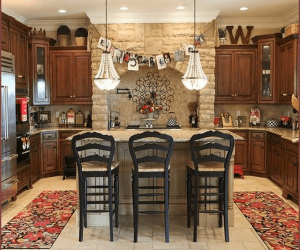 The remodeling pro that can show you how to raise the value of your home with a new complete kitchen is My Remodeling Pro. 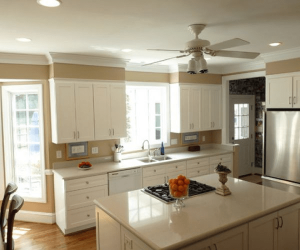 My Remodeling Pro also offers partial kitchen remodeling projects also. If you can envision a new kitchen we have the experience and the craftsman to take your remodel to the next level. We promise to work closely with you and our product vendors to provide you with the latest technologies, accessories and building trends. Each project we take on includes the friendly services of one of our highly trained project managers – who will listen closely to you throughout the dream, design, build process. We will listen intently to your unique needs and build a beautiful kitchen around them. Setting ourselves apart from the competition isn’t always a matter of dollar signs; My Remodeling Pro is proud of craftsmanship, detailed proposals and customer communication. Simply put, you are in charge of your complete kitchen renovation from beginning to completion. Remember we work at your pleasure and pleasing you, the client is our number one goal. You don’t need to tolerate your dated and dull kitchen cabinets anymore; let The Remodeling Pro build a completely beautiful and functional new kitchen. Call today us (913) 268-9800 (816) 307-0505 or contact us online to start the remodeling project today!